National Strength with State and Local Impact! Founded in 1994, NC APSE provides leadership, training, technical support and advocacy concerning the benefits of hiring employees with disabilities in North Carolina. *APSE is the largest membership organization dedicated to the growth and expansion of supported and customized employment for persons with significant disabilities. APSE is an organization for Supported Employees, Employers, Family Members, Providers and Advocates. For more information about APSE visit www.APSE.org. Employment in the general workforce is the first and preferred outcome in the provision of publicly funded services for all working age citizens with disabilities, regardless of level of disability. Employment First principles must be based on clear public policies and practices that ensure employment of citizens with disabilities within the general workforce is the priority for public funding and service delivery. 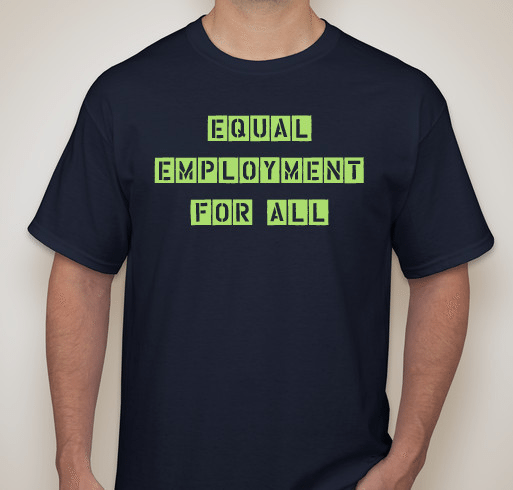 Equal Employment for All Through Advocacy, Education and Support. Are you a Member of NC APSE? APSE is the only national association focusing solely on advancing integrated employment for individuals with disabilities. We work at both the national and state levels to ensure everyone is afforded the right to work, earn commensurate wages, benefits and opportunities to advance their careers, contribute to society and move out of poverty. Access our growing library of information, read White Papers and download copies of the Power Point presentations submitted by NC APSE Conference speakers who gave permission for NC APSE to post their presentations. Ongoing North Carolina Legislative Update Summaries. Discounted rates from APSE Partnerships – APSE members receive discounts on popular web courses, publications, training events offered by DirectCourse, TRN, Inc. and VCU-RRTC. We would welcome the opportunity to serve you as a member of NC APSE.